SuperPhillip Central's Favorite VGMs is usually an every-Monday occurrence where I share five of my favorite songs from various video games, whether they be retro or modern. I often feature songs from games that don't get as much attention from gamers as they should, but I don't make it a habit to make note of that. Well, with Underrated Games With Even More Underrated Soundtracks, I definitely do. This third part features games that many slept on that have glorious music to them. As usual, I shall share six games and provide five sample songs for each soundtrack. Perhaps hearing some of the music from these games will encourage you to try them out! For a look at past parts of this ever-growing series, check out part one and part two. The Mario & Sonic Olympic series isn't quite the crossover that longtime Nintendo and Sega fans were expecting-- far from it, actually. 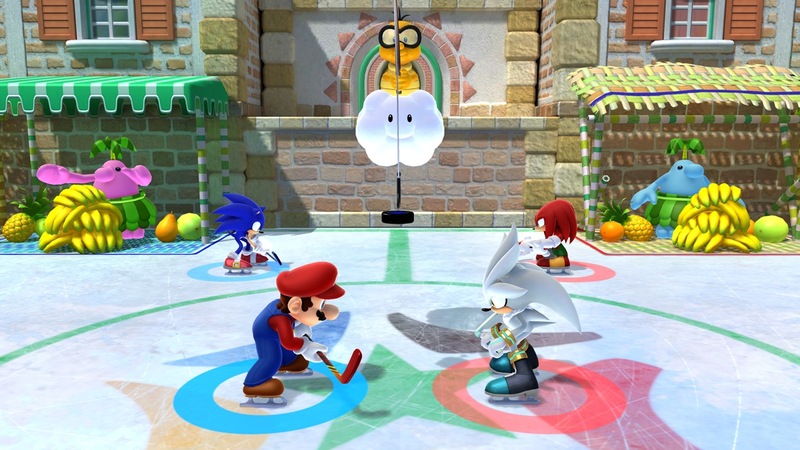 However, despite being focused on mini-games and motion controls, Mario and Sonic's Olympic outings have been mostly enjoyable for me personally. The latest game in the series, taking place at the Rio Olympics, releases in a couple of weeks on the Nintendo 3DS and in June on the Wii U. Whether you enjoy this Olympic crossover or not, what you can't really argue against is that the soundtracks of these games are phenomenal, whether it's the original music or the real tipping point, the myriad remixes of classic Mario and Sonic themes, as heard with these examples from Mario & Sonic at the Sochi 2014 Olympic Winter Games. While Mario and Sonic was indeed a dream combination, Platinum Games and Transformers was pretty much another one. Awesome cars that turned into even more awesome robots combined with Platinum Games' stellar character action combat? 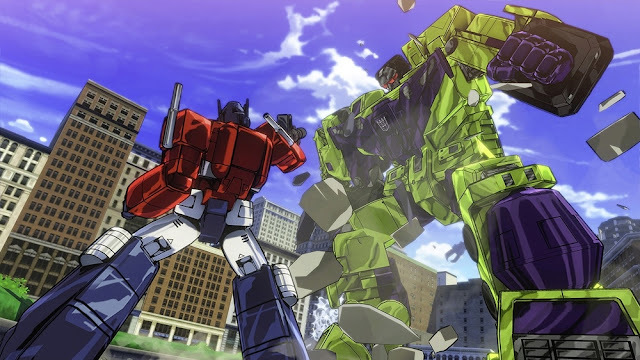 That's exactly what Transforners: Devastation delivered, and while the main game was short, the ability to play through the campaign as five different characters with differing play styles to them made the game feel much meatier. The soundtrack is pure '80s cheese, making the entire package feel like a lost episode from the original Transformers series in intensely interactive form. Poor Tearaway. First you released on the severely underperforming PlayStation Vita where owners are too busy being concerned with games with anime characters, which you had zero. Then you released on the PlayStation 4 with an expanded and enhanced version, but Sony released you with little fanfare. Obviously, a game of this kind wouldn't do well regardless, but I'm still okay at being a bit depressed about it. Still, to better my mood about Tearaway's gravely lackluster sales, I can at least listen to the eclectic soundtrack of the game. Perhaps through listening through these selected themes you'll gain some interest in trying out this massively overlooked Media Molecule game. Another overlooked game, but this one had a different challenge to it. 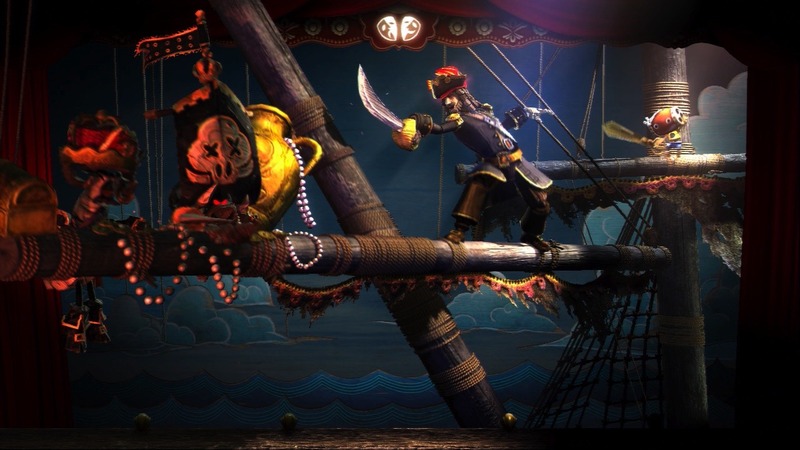 Sony Japan Studio's Puppeteer released in the same launch period as the PlayStation 4. Thus, this PS3 game had that competition to worry about as many PS3 owners were moving on to Sony's latest hardware. 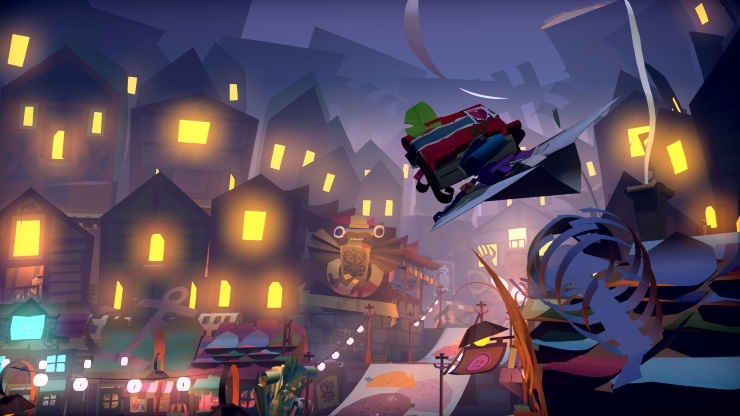 Puppeteer itself is an incredibly charming 2.5D platformer, though if you aren't a fan of cutscenes constantly breaking up your gameplay experience, then you might get a bit annoyed with Puppeteer. Still, I believe it's worth sticking with if only to enjoy the wondrous worlds and levels of the game, and to sample the completely orchestral soundtrack that delights from beginning to end. How could it not with such delightful and wonderful themes throughout its sublime symphonic duration? A Wii U launch title and a Nintendo 3DS release, Scribblenauts: Unlimited was the third game in the Scribblenauts series that debuted on the Nintendo DS. The original Scribblenauts was a concept that amazed players, but the execution left a lot to be desired. Future sequels nailed both the concept and the gameplay, but many that were interested had already moved on to other games. That notwithstanding, Scribblenauts: Unlimited allowed the usage of adjectives to add even more zaniness to the objects and characters to assist in solving the game's plentiful puzzles. The soundtrack, featuring remixed versions of classic Scribblenauts themes, as well as fantastic new compositions, was superb and supremely catchy. It made journeying through the colorful worlds of this third Scribblenauts game all the more enjoyable. Whether it's the original Assault Horizon Legacy or the Plus version with Amiibo support, Ace Combat: Assault Horizon Legacy was similar to the console versions of Assault Horizon in name only. 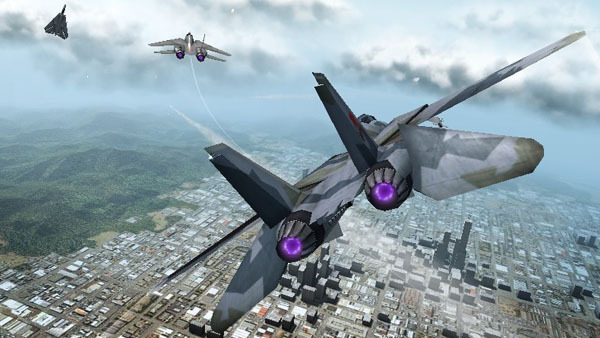 The game was a remake of Ace Combat 2, and it played much more closely to that game than the much more drastic take on the formula that Assault Horizon's console entries had. With varying objectives, split mission paths, and a pulse-pounding amount of action, Ace Combat: Assault Horizon Legacy was a fantastic dog-fighting feast for fans. The music of the game was heavily cinematic and intense, delivering even more adrenaline to players as they sped through the skies. I feel remiss for only including five samples of such songs from the soundtrack, but I can't play favorites! I typically don't enjoy traditional sports games. The idea of playing a yearly game that seems more like a roster upgrade with minimal changes isn't something that appeals to me. However, for every Madden 9,062, FIFA 825, and NHL 1,000,332, there are those sports games that do challenge my ideas of what a sports game could be. Whether you're playing a real life sport, a video game sport, or even delving into some online sports betting like on sites like sport.netbet.co.uk (but only if you're of age for the last one), there's no doubt that sports are a popular pastime. This article will delve into a few of my favorite traditional sports games. As a modest fan of sportsball, these games somehow managed to excite me even with my passing interest. 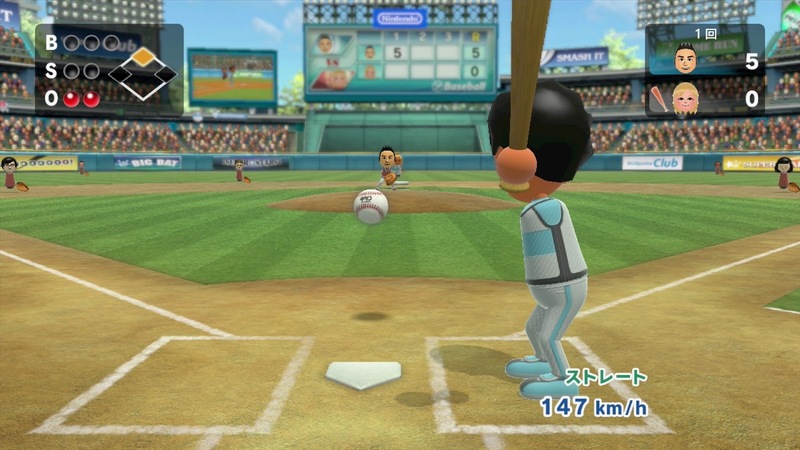 The original Wii Sports not only was a mega hit, but it was also an excellent tech demo for showing how versatile the Wii Remote could be. Sure, the controller's potential wasn't fully explored, but with Wii Sports, you got the feeling that the possibilities were endless. 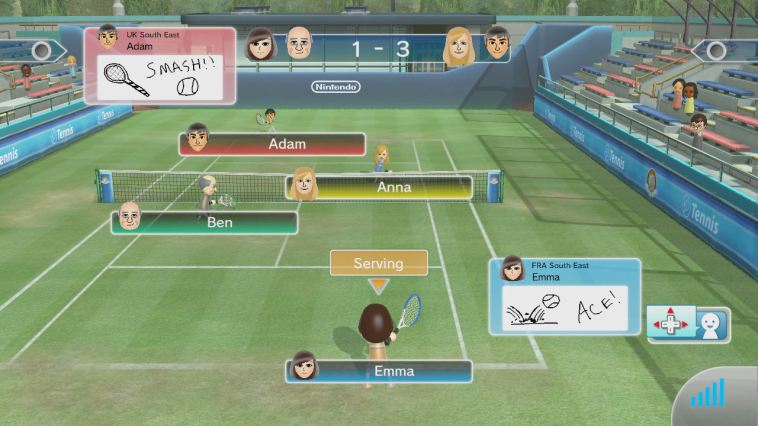 Wii Sports Club is a The Wii U remastering of all five sports from the Wii original: Tennis, Baseball, Bowling, Golf, and Boxing, and adds Wii MotionPlus controls to them, as well as some Wii U GamePad usage. The initial digital-only drip-feed release of the individual sports wasn't the smartest approach to getting Wii Sports Club out, but eventually a retail release was launched... though good luck tracking down a used copy for an inexpensive price! 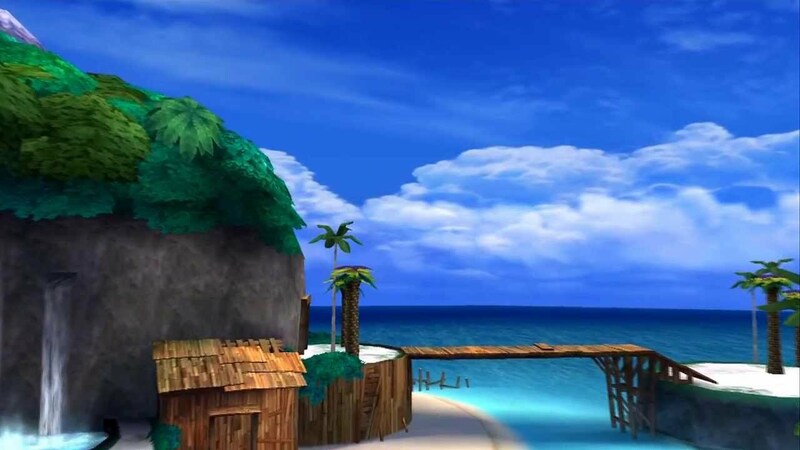 Regardless, the added precision that Wii MotionPlus afforded allowed for more accuracy-based gameplay. It mattered how you moved your wrist when you struck the tennis ball with your racket, or rolled the bowling ball down the alley. 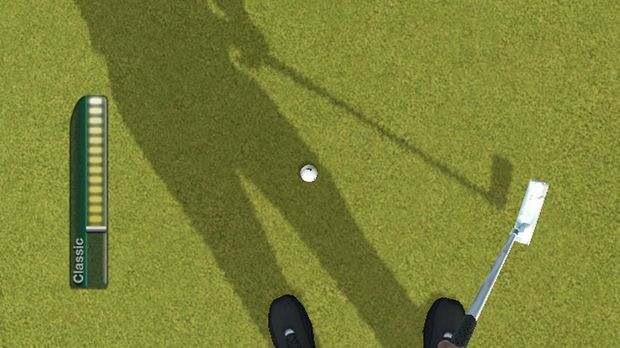 While Rory McElroy is now EA's cover star for its PGA Tour games, I can't forget to mention my favorite traditional golf game ever released, Tiger Woods PGA Tour 11. I'm specifically talking about the Wii version, which because of the addition of Wii MotionPlus made it the definitive version for me. Two new swing modes were included with this 2011 installment: Advance Plus, which tracked one's swing direction, and Tour Pro, which was a first-person view with 1:1 Wii Remote and club controls. A nice bonus was that even if you couldn't get down the MotionPlus controls, the peripheral was merely optional, so you could play without worrying about which way your wrists were twisting. Added on top of those two modes are three dozen miniature golf holes and a mode perfect for the college students and/or hipsters in your life: disc golf. 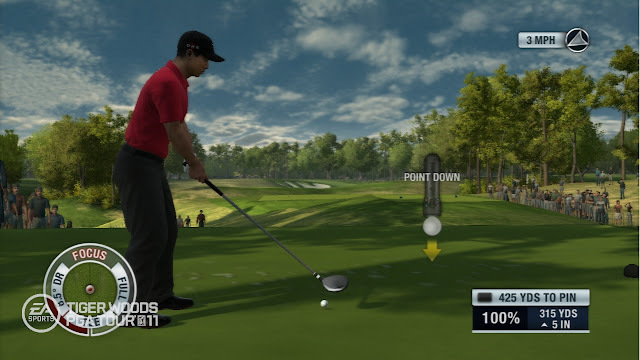 This with all of the courses in the game from real world locations, competent commentating, multiple modes, and then-online play, Tiger Woods PGA Tour 11 still remains the definitive golf game to me. 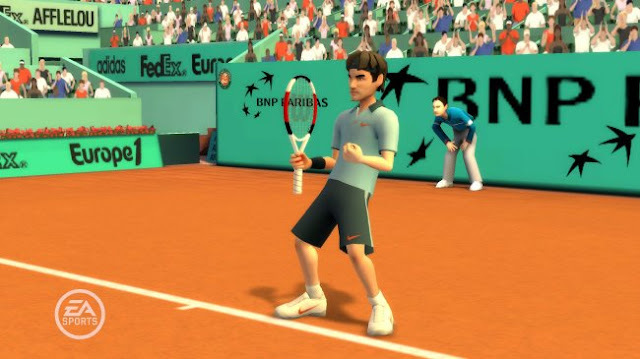 While Grand Slam Tennis has a cartoon visual style to it, its gameplay is anything but unnatural. Using Wii MotionPlus, the tennis gameplay made sure you were precise and accurate with how you handled the Wii Remote to control your shots. 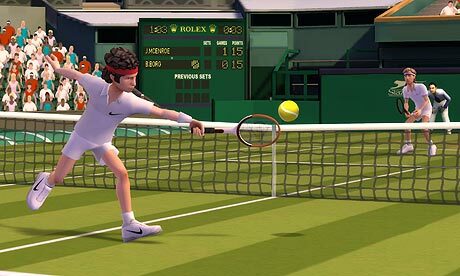 Filled with all four Grand Slam locations, a fully fledged career mode, 23 players both current and retired, a Create-A-Player mode with multiple options to customize your own tennis all-star to the max, and what was then available, online play. SuperPhillip Central's Favorite VGMs is here to brighten your Monday with some excellent video game music! You wouldn't think so with the two games that kick off this edition, Alice: Madness Returns and Dead Rising, but we quickly rebound to something more bright and bouncy with the theme of Destiny Islands from Kingdom Hearts. Then, Arc the Lad: Twilight of the Spirits lets loose with a riveting town theme. 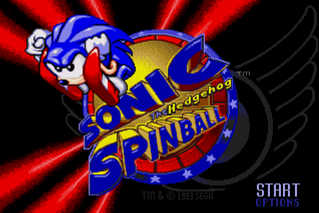 Finally, Sonic Spinball takes us for a spin with an arranged album theme. If you'd like to listen to past VGM volumes covered on this weekly segment, look no further than the VGM Database! 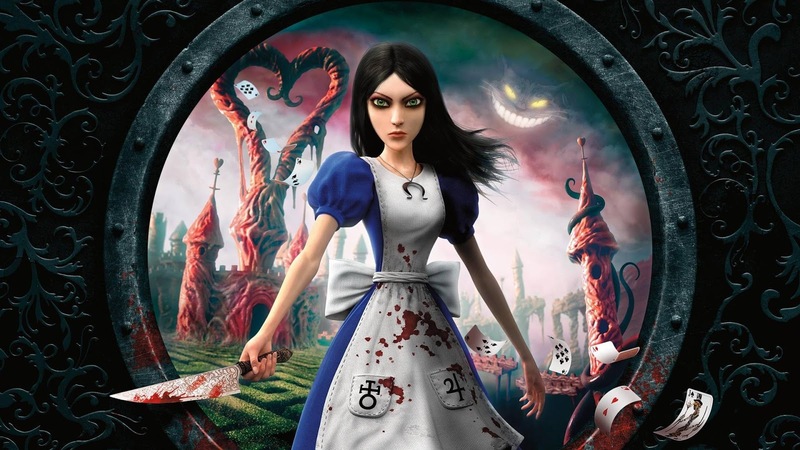 We start off this edition of SuperPhillip Central's Favorite VGMs with the main theme from the dark and twisted Alice: Madness Returns. Forget everything you know about Alice in Wonderland, as EA's take on the well known story is decidedly not for the little ones. However, it is for those who like superb gameplay and wondrous worlds to explore. The psychopath that inhabits the gun store in Willamette Mall shoots trespassers on sight. When Frank West appears in front of him, a boss battle occurs. 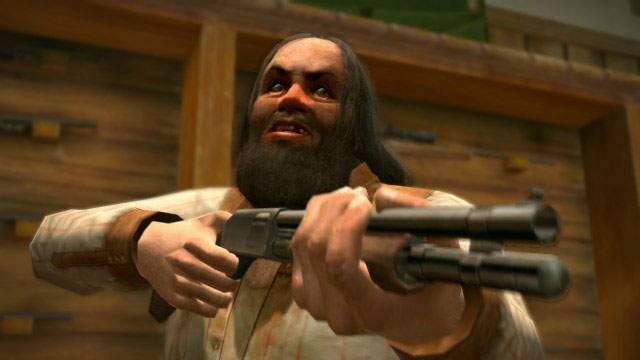 Once he's defeated, Cletus' scared self runs out of the gun store, but unfortunately right into a horde of zombies that start chewing into him like beef jerky. Cletus' song when you face him is a hard rock theme that escalates during the intense battle with him. Sora and friends start out innocently enough on the Destiny Islands. Then certain events unfold that split the crew up, sending each of the three friends to different parts of parts unknown. Destiny Islands as a theme is suitably uptempo and tropical. The melody is catchy, which helps when you're hearing this theme so much at the start of Kingdom Hearts. This new age-sounding theme for the town of Yewbell resonates with me whenever I hear it, and that is definitely the case as I listen to it now. 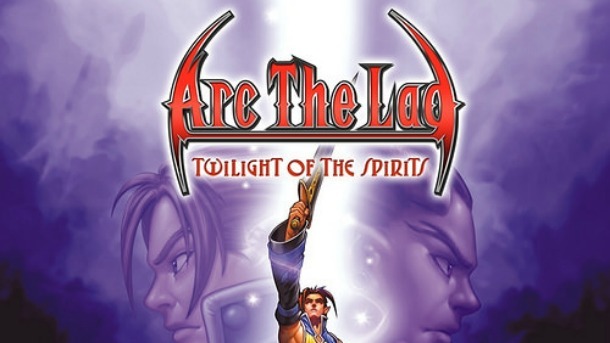 Arc the Lad: Twilight of the Spirits recently received a release on the PlayStation 4 with full trophy support, so gamers familiar with the title and those playing it for the first time have the chance to listen to all of the great songs that come from the game. This version of the opening theme from Sonic Spinball comes from a special soundtrack of music mostly from Sonic CD and some Sonic Spinball music. The CD name? Sonic the Hedgehog Boom! It's a CD in my collection I revisit often as the music is so superb. I actually prefer the US Sonic CD soundtrack over the original Japanese and PAL one, and yes, I know I'm in a rare group here!